Acer has unveiled the Liquid Z6 Plus at the IFA 2016 event in Berlin. In case you’re wondering why there is a Liquid Z6 Plus without a Liquid Z6, both devices were unveiled alongside each other, with the Acer Liquid Z6 Plus being the bigger and better-specced among the two. The Acer Liquid Z6 Plus is a mid-range device that comes with a monster battery and high-resolution display coupled with better security and efficient memory management. Let’s go into the specifications proper. 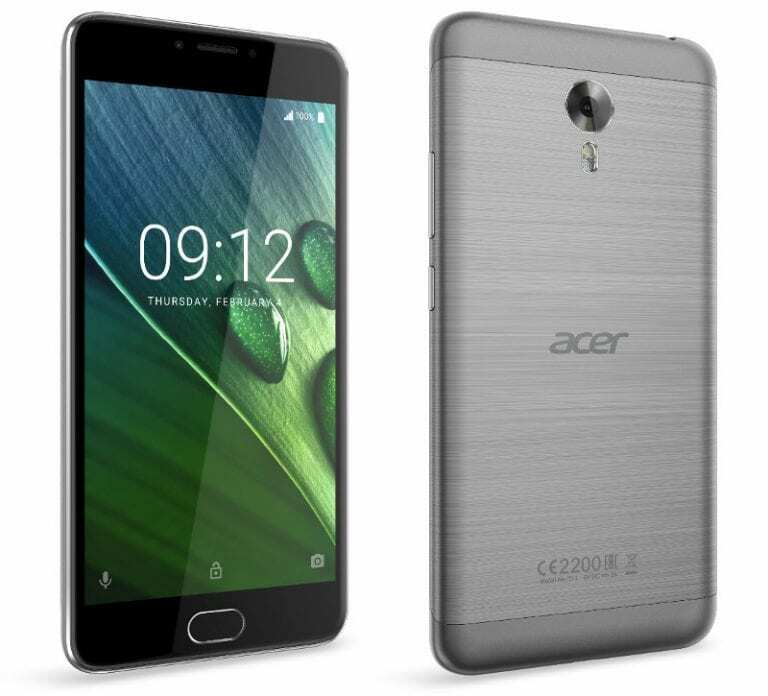 The Acer Liquid Z6 Plus features a 5.5-inch Full HD display with a pixel resolution of 1920 * 1080. The display uses IPS technology and, like its smaller partner, is covered with a 2.5D curved glass which adds to the classy look of the smartphone. The Acer Liquid Z6 Plus has a physical home button inside which a fingerprint scanner is embedded, allowing you to securely lock and unlock the device easily. The Acer Liquid Z6 Plus is powered by an octa-core Mediatek MT6753 processor with an upper processing speed of 1.3GHz. The CPU compartment is also fitted with a Mali-T720 GPU which ensures smooth transition and glitch-free graphics operations are carried out. The Acer Liquid Z6 Plus comes with 3GB of DDR3 RAM capacity and 32GB of internal storage, sufficient to store all the pictures and videos you might want to keep there. And if you’re a multimedia or large file collector, the Acer Liquid Z6 Plus allows you to add more storage capacity up to 128GB via its microSD card slot. The Acer Liquid Z6 Plus packs a monster 4,080mAh battery which is capable of taking you for more than a day on full charge, even with heavy usage. The Acer Liquid Z6 Plus allows you to access the internet faster with super-fast 4G LTE and Wi-Fi 802.11 a/b/g/n. Wireless file transfer is faster with Bluetooth version 4.0, and location determination is all the more easy with GPS. The Acer Liquid Z6 Plus sports a 13MP camera unit at the rear and a 5MP camera at the front for taking selfies. The rear camera is accompanied by a LED flash which ensures that photos taken in low-light conditions are clear and no precious moment is lost, whether it be in light or in darkness. The Acer Liquid Z6 Plus boots the latest universally available version of the Android operating system, version 6.0 Marshmallow out of the box. This is to ensure that you enjoy the latest goodies in the smartphone world and you don’t have to worry about changing the smartphone for a long time. 5.5-inch Full HD IPS Touchscreen Display. 1.3GHz Octa-core MediaTek MT6753 processor. 32GB internal storage, expandable up to 128GB with microSD. WiFi 802.11 a/b/g/n, Bluetooth 4.0 & GPS. The Acer Liquid Z6 Plus will be made available publicly from December 2016 and will cost N87,500 in Nigeria, KES 28,050 in Kenya and GHS 1,099 in Ghana. It is currently being showcased in Berlin at the 2016 IFA event.